High Resolution Audio: Does It Matter? Thought I give you the short answer first in case you are impatient like me. If you have read my past articles you know that I have a passion for excellence in engineering when it comes to audio. Invariably the question is raised as to why. Does that precision matter? How about High-resolution Audio? I hope to answer this question in this article or as a minimum provide an objective path for you to decide for yourself. Go into any audio forum and you immediately see food fights over the merits of distributing audio at higher resolution than the CD. The two warring camps are quite polarized. One goes as far as the CD spec is “more than good enough” with 16 bit per sample resolution and sampling rate of 44.1 KHz. You will often see proclamations such as music not even needing more than 12 to 13 bits. And that most listeners can’t hear 20 KHz so the 22.05 KHz bandwidth represented by CD’s sampling rate is more than sufficient. The other crowd is the “night and day” camp. They say that if you can’t hear the difference you must not have a good enough system, ears or both. And that the benefits of high resolution audio scale more or less with its spec. If 96 KHz is good, then 192 KHz must be even better. Each camp is content with its position in this matter. The good enough camp points to what it says is “scientific evidence” in the form of a listening test from Meyer and Moran. As I explain later that report states that improvements from higher sampling rate/bit depths than the CD are not audible. Who is right here? Is the difference as big as the numerical difference between specs of the CD and high resolution audio? Or is it that there are no audible differences regardless of technical and measured differences? In my opinion both camps are wrong! Extreme positions in any topic become hard to defend and nowhere is it more true than in this argument. The fallacy of the good enough argument is that it relies on a limited number of tests performed almost entirely by hobbyists who don’t have the necessary skills, experience, knowledge and tools to perform these tests properly. The night and day camp likewise relies purely on sighted tests which unfortunately are subject to severe placebo effect as one is easily convinced to hear better sound if its specs are better. The reason these discussions resemble battles is because neither side tries to convince the other using their own evidence. Good enough camp demands double blind test data which the other camp dismisses as being an improper method of evaluation. Likewise the night and day camp can’t possibly convince the other that the only path is “to just listen” with eyes wide open. So how do we make forward progress? My approach is to focus on the good enough camp. They are the ones that take the position of listening to “scientific evidence” and believe in the validity of double blind tests and the science of audio. What is about to follow is such a presentation. I will present data and research that should as a minimum give pause to people in the good enough camp. That their extreme position is not defensible. Please allow me to also state one of my pet peeves in this discussion. There is nothing magical about 16/44.1 specification of the CD. It is not like extensive listening tests and research were performed to pick these values. They were selected by Sony and Philips in the creation of CD to balance the recording capacity and fidelity. So at some level the one camp is defending an arbitrary set of numbers. Let’s step back and define what we mean by high resolution audio. There is no formal definition so I will resort to my own: anything above CD’s 16-bit/44.1 KHz in my book is high resolution audio. The most common step above that which is used frequently in video production is 16 or 24-bit samples at 48 KHz. Fans of high resolution audio no doubt want to see much bigger numbers than 48 KHz. But 48 KHz with the original samples of 16 or 24 can still be beneficial. In this article you will see me not only talking about technical aspects of this discussion but also the business component. It is the latter that ultimately determines why we should get behind high-resolution audio and more so than any technical points. For now let’s address one of the most important considerations in this topic:the CD format is on its way out. It is just that it doesn’t know it yet! No, don’t go citing music industry statistics of billions of CDs still being sold. I know that but it doesn’t matter. CD will in the ensuing years find itself without a customer. The music market is all about the mass consumer. Enthusiasts like us don’t even account for round off error. As everyone knows, the mass market has strongly adopted online consumption of music. Compressed MP3/AAC audio can easily be streamed or downloaded giving instant access to millions of music tracks. Yes, there is a fidelity drop but to the mass market music buyer that difference is either inaudible, not important or both. To many younger buyers the notion of buying a physical CD is a foreign and antiquated concept. They can’t play the CD in their smartphone. And who wants to wait for the CD to arrive, rip it and then play it on the run? They certainly don’t. And unlike Vinyl there is nothing nostalgic about the CD. Not yet anyway. As this group ages this becomes the norm and the CD will find itself without a mass market consumer. What this means is that the people who fund the compensation of music labels and royalties of the talent have already voted with both feet that the CD is destined to go away as a format. To be sure CD consumption is not stopping anytime soon or ever. But the trend is clear and unstoppable. There is evidence of this already. I love modern music but increasingly find that such music has gone directly to MP3/AAC on iTunes/Amazon, bypassing the CD format. The trend is accelerating in that I run into at least one album a week that I can no longer find in CD format. Yes, this is specific to my listening habits but it is indicative of the future. If you are a new artist you are not going to stamp CDs when you can just submit your music to the Amazon and iTunes of the world and be done with it. Who wants to deal with inventory of physical goods in an uncertain market? Fortunately a new distribution channel has been opened for enthusiasts in the form of high resolution audio. More and more content is being distributed in this manner, bringing with it the same convenience of instant downloading that the mass market enjoys with MP3/AAC compressed formats. The market is tiny but over time I believe it will continue to grow and become the destination format for enthusiasts especially as the CD format starts to shrink as a viable alternative. Fast forward three, five or more years and you can easily see how the CD falls into no man’s land. Masses don’t want it because they would have completely shifted to online compressed formats. And audiophiles would have moved on to high resolution audio for its better spec if not fidelity. CD will find itself without a strong need. Currently there is one important barrier to this future: cost. Comparison of most albums in high resolution format from the specialty online retailers and mass market CD outlets like Amazon shows a significant premium. The reason for this is one of the untold secrets of the music business. Namely the fact that CDs are often sold at a loss in order to get the customer to come into the store to buy something else that has a profit margin. Since new CDs (and DVDs/Blu-rays) are constantly released, they act as a strong factor in getting a customer to visit your store often. People don’t buy microwave ovens or cameras every week or two but do consume music that way. Single-category high resolution audio distributors don’t and can’t have the above business model as they have nothing else to sell. Their only profit margin is that of the music content itself so they have to charge proper profit margin to stay in business, hence the higher prices. Fortunately the high-end of the music market is not as price sensitive so this is not a big barrier to the future I have described. Breathe a word about high resolution audio and you are immediately challenged to prove whether the difference between it and CD is audible. Before you can open your mouth, you are read the findings of a test (“engineering report” in AES parlance) in 2007 by Meyer and Moran, published in the Journal of Audio Engineering Society titled,Audibility of a CD-Standard A/D/A Loop Inserted into High-Resolution Audio Playback. The test involved using a DVD Audio or SACD player as the source (remember this is at the height of that format war) with the audio split into two paths. One went straight into an ABX switch box and the other, through a CD Recorder’s monitoring loop. That loop converted the analog output of the DVD-A/SACD players into digital, presumably at 16/44.1 KHz and then back to analog on the way out (see Figure 1). User then used the ABX switch box to play A (e.g. the DVD-A/SACD) without modification, followed by B (the loop that forced the conversion down to 16/44.1 through the CD recorder) and then had to identify X to be more like A or B. Since in any such “forced choice” test the listener can simply guess, a protocol is used to differentiate between that and actual fidelity difference. The statistical method calls for determining the probability of chance being lower than 5% that the person was guessing randomly. Or put inversely that there is 95% confidence in the person hearing an audible difference between A and B. The headline from the report was that out of all the trials, the number of correct guesses was only 49.82% (why anyone would report such numbers with two decimal places where the margin of error is quite a bit bigger than this is beyond me). The good enough camp happily runs with this summary by declaring that the difference between DVD-A/SACD and its “CD” version was no better than chance, ergo there is no audible difference. Lost in that is one tester who managed to get 8 out of 10 right meaning there was 94.5% probability that he was identifying the proper source and not guessing. This is so close to 95% threshold that it should have been noted as significant and countering the larger conclusion but was not. Two other testers managed 7 out of 10 correct selections. These were all dismissed as exceptions and the total number of trials/listeners incorrectly relied upon. 1. Meyer and Moran failed to test their source material to see if they indeed had spectrum that would be captured by higher sampling rates of SACD/DVD-A. Some of the titles they used were actually upsampled CD masters so they were one in the same when converted down to 16/44.1. This is a very basic mistake. Every test of this sort must include verification of the assumptions. Namely that the content being used is what it is thought to be. That they did not see fit to do so casts a very dark shadow on the quality of this test. 2. They do not provide any measurements that demonstrate that the CD-ROM recorder used as a poor man’s sample and bit depth converter to 16/44.1, actually performed that assumed function. The Journal report does not even mention what that equipment was. 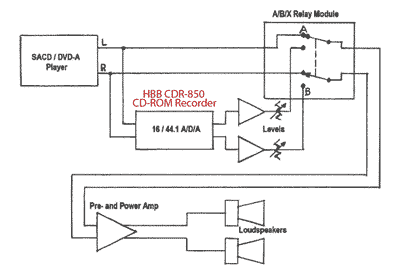 Later online posting revealed that it was an HBB CD-ROM recorder as I have noted in Figure 1. The manual for that unit fails to say anything at all about the monitoring loop that was used in the test for down conversion. It is possible that it is an analog pass-through path and hence no conversion to 16/44.1 occurred. The authors insist that they had measurements that proved otherwise but none are provided for review in the paper or online. This is no way to perform a “scientific study.” All important assumptions need to be verified and documented. Next to content itself being high resolution, nothing is more important than showing the response of this down conversion being that of 16/44.1 KHz. 3. There were no controls. Industry and research best practices and international standards such as ITU-R BS1116 require that there be controls that are used to verify proper operation of the test harness. What is a control? It is a stimulus with a known outcome. An example in this scenario would be down sampling all the way down to 22 KHz with the bandwidth extending to only 11 KHz. If the listeners still report random results, then we know something is wrong. Maybe the connections to the ABX switchbox are mis-wired. Or data gathering. Humans make mistakes and we need ways to catch those mistakes. 4. Another important use of controls is screening out testers who do not possess critical listening abilities for the test in question. If our test fixture is correct but listener still votes randomly, we must eliminate them from the listening panel. Having these testers participate still would serve to dilute the results. And is a sure way to get "no better than chance" outcome since that is precisely what these non-critical listeners do. The above is an example of a statistical concept called the Simpson’s Paradox. It says that improper summation of a group of results can create false conclusions Here, it matters not that one hundred people could not hear the difference,if five could. If those five reliably found a difference then we know the difference is there. Mixing the other one hundred in there will only serve to generate incorrect data, not strengthen it. Dr. Dranove has set requirements for our engineering report that were not part of our plan, and then dismissed it for failing to meet them. In hindsight it probably would have been better for us not to cite the total number of trials as there are issues with their statistical independence, as well as other problems with the data. We did not set out to do a rigorous statistical study, nor did we claim to have done so. Accordingly it may not mean much to do a more detailed data analysis, though we have done further work on it that we will discuss later. We did not know in advance what source material, what type of system, or which subjects would be the most likely to reveal an audible difference. Ad-hoc testing combined with less than proper statistical foundation does not make for authoritative work. If we are going to rely on conclusions of such tests, then we better apply proper rigor to them and follow best practices. Take testing of audio compression. Critical music segments are used that are revealing of compression artifacts, not some random set of music files or even “audiophile tracks.” We utilize expert listeners (incorrectly called “Golden Ears”) who are trained on how audio compression works and the type of artifacts it introduces. While testing is sometimes performed using a larger audience that is not trained, critical design decisions and competitive studies always follow these practices. Controls are routinely used to screen out poor listeners and protocol errors. Knowledge of what is being tested determines how the test is created. All the things that were not done in Meyer and Moran test. Yes, my criticism is harsh and strong. Just because we have a pair of ears and access to a switchbox doesn’t mean we are qualified to run off and perform such tests. This is a specialized field that requires experience and expertise to perform tests correctly. Clearly that was not what governed this testing. Do we throw out all of Meyer and Moran results then? No, that would not be proper either. If there were night and day audible differences it should have showed up better than it did. The fact that it did not means that these differences, if they existed in their setup, were small. So this work is also a cautionary note to the other camp. For some seven years the Meyer and Moran test has been the only “published peer reviewed” test of its kind. That changed at the AES conference in 2014 where the results of another listening test contradicted its outcome. The listening tests were conducted by Helen M. Jackson, Michael D. Capp, and J. Robert Stuart in a paper titled:the audibility of typical digital audio filters in a high-fidelity playback system. Bob Stuart is the founder of Meridian Audio. Same company that produced the MLP lossless audio that became mandatory in DVD Audio and part of the specification in Blu-ray in the form of Dolby TrueHD. Bob is an AES Fellow with a background in signal processing and psychoacoustics. Given that, you can expect this work to be more authoritative than Meyer and Moran and it is. 1) Filtering down to 22.05 KHz representing 44.1 KHz sampling while keeping the bit depth the same as the original (24 bits). 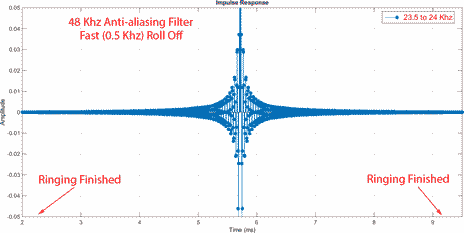 2) Filtering down to 24 KHz representing 48 KHz filtering (again at 24 bits). 3) Filtering down to 22.05 KHz with bit depth also reduced to 16 bits but with no dither (i.e. just throwing out the extra bits of resolution). 4) Filtering down to 24 KHz and 16 bits with no dither. 5) Filtering down to 22.05 KHz with bit depth reduced to 16 bits with dither. 6) Filtering down to 24 KHz with bit depth reduced to 16 bits with dither. In simpler terms they tested what happens when you change the sample rate by itself with and without conversion to 16 bits using different schemes. Eight (8) listeners participated at different ages. None were trained but the test properly included a training phase as recommended in ITU BS 1116. Total number of 160 trials were conducted across all listeners. The 95% confidence that results are not due to chance require number of correct responses to be above 56% right answers (yes, 56%; see this article onStatistics of ABX Testing.htmlfor why). As Figure 2 shows, all but one test exceeded this target. The one test that didn’t quite make it there (at 48 KHz) did so when the results of the critical segments in the music track were counted. The results show that mere filtering of the high sample rate track to that of CD's 44.1 KHz and video’s 48 KHz had audible effect (to the stated statistical significance). Let's note that none of the testers could hear above 20 KHz and some probably could not even get that far. 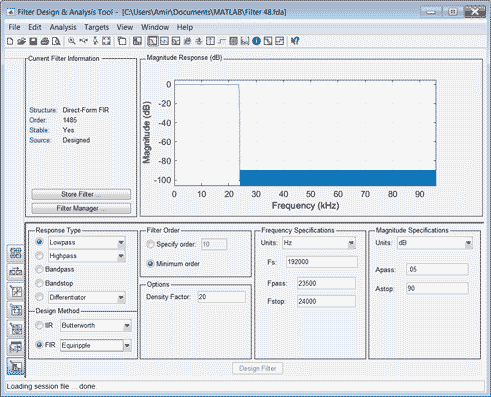 How is it that filtering the ultrasonics that testers could not hear was audible? The answer is that we introduced audible artifacts, not that we removed what we could not hear in the first place. The paper authors hypothesize that it is the filtering “ringing” in the time domain that may have caused these artifacts. Ringing is an unavoidable manifestation of digital filtering. The sharper the filter has to be, the longer its “tails” (ringing) in time domain. The ear is not a spectrum analyzer but rather "hears" the samples as they arrive. In theory the ringing can be audible and potentially is what was heard. As I have noted on the graph, there are oscillations called “ringing” that go on before our sharp transient in the middle and after it. The ringing after the transition is not usually audible as it is masked by the loud sound of the transition. The ones prior to it, called pre-echo, are not so fortunate. If there is sufficient energy there, it may just be audible. 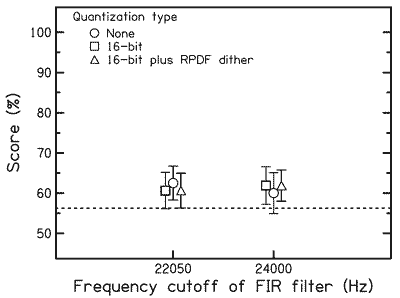 Notice how the pre-ringing is essentially gone in about 0.7 milliseconds (0.9 msec – 0.2 msec) whereas in the sharp filter case, it went on for more than 3 milliseconds. The need for such sharp filters exists because CD's 44.1 KHz and Video's 48 KHz don't allow a lot of room for gentle roll off. Whereas with high sampling rate we can have very gentle filters that avoid this issue as a practical matter. Again, this is a theory and not necessarily verified in this test but is one of the best explanations we have as to why there was an audible effect. It was reported that filtering gave “softer edges" to the instruments, and “softer leading edges" to musical features with abrupt onsets or changes. Echoes, when audible, were identified as being affected the most clearly by the filtering. It was felt that some of the louder passages of the recording were less aggressive after filtering, and that the inner voices (second violin and viola) had “a nasal quality." Overall, the filtered recording gave a “smaller and flatter auditory image,” and specifically the physical space around the quartet seemed smaller. Listeners described that quantization gave a “roughness" or “edginess" to the tone of the instruments, and that quantization had a significant impact on decay, particularly after homophonic chords, where “decay was sustained louder for longer and then died suddenly." This could be an effect of quantization distortion; it is interesting that this was audible even in a 24-bit system, and is consistent with the hypotheses of Stuart  that 16 bits are not sufficient for inaudible quantization. You may have heard of the practice of loudness compression. 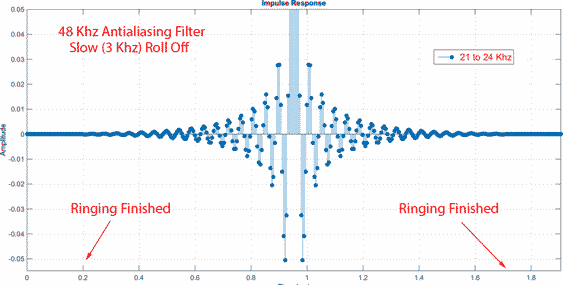 This is a type of processing that is applied to music to make its average loudness higher. Its justification in the past was for radio broadcast where the label/talent wanted to get the attention of the listener in the crowded set of commercials and other music tracks. Today’s reasoning for its existence is to make one’s song not sound too soft in a playlist of MP3s. Whatever the justification, the huge amount of loudness compression applied is an enemy of high fidelity. Perfectly good stereo high resolution mixes are degraded sonically in the process of mastering the bits for CD/MP3/AAC distribution. Dynamics are lost and music no longer sounds enjoyable. There have been loud cries from enthusiasts and recording engineers alike against loudness compression to sadly little effect. The labels and talent pay for the production of music and what they want, is what gets produced. Since the masses are responsible for almost all of the revenues of music, what they want overrides everyone else's desires. Though our tests failed to substantiate the claimed advantages of high-resolution encoding for two-channel audio, one trend became obvious very quickly and held up throughout our testing: virtually all of the SACD and DVD-A recordings sounded better than most CDs—sometimes much better. Had we not “degraded” the sound to CD quality and blind-tested for audible differences, we would have been tempted to ascribe this sonic superiority to the recording processes used to make them. Plausible reasons for the remarkable sound quality of these recordings emerged in discussions with some of the engineers currently working on such projects. This portion of the business is a niche market in which the end users are preselected, both for their aural acuity and for their willingness to buy expensive equipment, set it up correctly, and listen carefully in a low-noise environment. 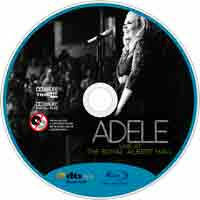 For a rather current example of this, buy the excellent (but overplayed)Adele: Live at the Royal Albert Hall combo Blu-ray and CD. The CD is of course at 16/44.1. The Blu-ray version has modest spec of 48 KHz by high-resolution standards. Yet the subjective difference is night and day. The Blu-ray recording is nice to listen to whereas the CD quite horrid. Play them both in two different players and switch between them and you immediately hear how much harm is done in the production of the CD master. No, the situation is not perfect. There is no guaranteed that high-resolution content is not just a remastered CD with loudness compression. Or that it is high-resolution but has loudness compression. Same is true of the content itself. You can get bad music or good music. Seek our online reviews before trusting high-resolution tracks to be of higher fidelity. As I mentioned at the outset, high resolution audio makes a difference. And a huge one at that in the way it gives us access to stereo masters prior to re-mastering for the CD. That path means the music can be free of loudness compression which will have clear benefit, putting aside any additional sonic fidelity due to use of higher bit depths and sampling. Given the fact that CD has no choice but to go away in the future, we as enthusiasts better get behind high resolution audio distribution. Nothing but goodness comes from having more choices of formats for our music. Were these descriptions gathered after listeners gave their verdicts on samples whose origins they didn't know? Did all listeners give similar verdicts, from which a few particularly vivid phrases were selected? Did some listeners, in fact, give the opposite descriptions but these weren't selected? Just because a person 'guesses right' with their description of a phenomenon doesn't mean they actually heard it, even if the test was blind. The description of quantization seems remarkably like a person guessing what an un-dithered "stairstep" would sound like. The only preamble is this: "To try to explain this finding, we turn to subjective descriptions of what listeners described hearing in these tests." The rest is what I quoted. Hmm. I remain unconvinced by this part of it. If listeners were given free rein to write what they liked, I wonder how you could apply statistics to those descriptions. Maybe they were allowed to pick descriptions from a pre-compiled selection? Maybe enough people picked description B7 when listening to quantized audio for it to be regarded as significant. But without further details of how this was done, surely this is not science? Well, we've known for awhile, at least where Amir is posting, that well-trained listeners can consistently differentiate hi rez from CD. Now we have a study confirming it statistically, and even a theory of what these well-trained listeners might be hearing: Filtering artifacts. Pre-ring. Now we can ask the industry to market and distribute hi-rez for a consumer market made up of well-trained listeners. But if an economically insignificant market is going to call for an audibly significant improvement, I personally think we'd be a lot better off demanding better mastering, without severe compression. Everybody with a decent stereo can hear that. Of course "everybody with a decent stereo" isn't a very big market either. Both dwell in the realm of dreams. What we'll get instead is a need to maximize CD-quality performance in our systems and to buy hi-rez, if we can hear it, when music we want to hear is available in that format. I personally think we'd get a lot better sound by demanding better mastering without severe compression. Everybody can hear that. Statistically significant peer reviewed double blind study with controls published in a reputable journal to support your assertion, please. I expected the "I personally think" to circumvent the need for that. . Look I have great respect for Amir's trained ears and mind. He blind tested himself and differentiated between CD and high rez very consistently; I accept that on face value. I also think this study may have found out why. It sounds good anyway. But this is classic business stuff. Amir sees this from an engineer's perspective. I come from the dark side, consumer marketing. And I understand that many engineers think we are unapologetic opportunists who only want what sells, that we don't care about absolute quality. They're right. We're trained to understand the end users and then give them what they want, or at least care about. That's what sells. But the market for this is barely worth the investment in telling folks it's available. It will never rise above small companies serving a boutique market. As trained listeners can hear an artifact of filtering that 99% of listeners will never hear, we marketing guys can sometimes smell a bomb long before the fuse is lit. This one's a commercial bomb. I'd bet my next Social Security check on it. I'll second the suggestion that all it would take is better mastering if the current Red Book format. I own very few "HiRez" albums aquired via download. Of the ones I do own I also happen to have the orignal Red Book version also. Just to put some numbers around this I'll say I have 20 HiRez albums. Beng generous, maybe X 5 of those HiRez albums sound better than the orignal RedBook version and in every case the RedBook versin always CRUSHES the HiRez version in terms of available Dynamic Range. Haven't been to a good used CD store in awhile. You probably just cost me some money . I visited them often and bought a lot of music on the cheap back when I was first burning all my CDs to hard drives. About the time Computer Audiophile went on line, whenever that was. I built most of my jazz collection then. But back then, people weren't dumping their CDs for hi rez; they were dumping them for mp3s. Go figure. In any case, I've got so much committed to 16/44.1 that any other format is going to be an afterthought, no mater how good it is. Amazon has a great used CD store. Many CDs go for a dollar or two over the standard shipping of $3.99. I was reluctant until I bought one out of necessity. Had a great experience and went all the way from that point on. I do not think hi rez will ever be for the masses. The masses are still doing MP3, for heaven's sake. And, of course, there is tons more music available on CD vs. hi rez, especially in the popular genres, which have comparatively little hi rez. You gotta go with the format that provides enough satisfying music for you. I am not in agreement about CD sonics being better than hi rez. It may be a flawed comparison, but I do not recall the playback of a hybrid SACD ever sounding better from the CD layer than from the DSD stereo layer on the same player with reasonably careful level matching. Yet, they are from the same master. That is true with DSD - 88k PCM conversion, my normal listening mode. Maybe it is expectation bias or whatever, but I vote for the hi rez. Not saying it is night/day, either. There is enjoyable music either way. But, I find the hi rez to be perceptibly and subjectively higher fidelity with the music I listen to. Downloads of 44k vs. 96k or 192k have also provided a small but noticeable advantage for hi rez for me and for friends on different systems, provided we were certain all were sourced from the same hi rez master. I have heard no noticeable dynamic compression at all with the hi rez classical music I favor, certainly not in comparison to CD. Same here! Treasure hunting ground would be an understatement. I'm sure this probably has a lot to do with our differing experiences between HiRez and Red Book. I don't listen to classical music at all. My tastes tend to fall on the total opposite end of the music genre spectrum (ie..60's,70's, 80's Rock/Pop and Heavy Metal). I do own a few classical albums in HiRez which I purchased based on reviews from others who said they are known for their SQ and musical content quality. There is no doubt they sound good but at least for me I cant even force myself to enjoy them, even after repeated attempts of wanting to really like them. What an interesting thread chaps. Did the test subjects ever use samples rated in excess of 48Khz? Over the years I have found that the bit depth tends to have more of a say than the overall sample rate. In relation DSD is just 1 bit yet 2.82Mhz so is having a box 24 by 24 with just 48 thousand samples a second preferable to having a box 1 x 1 and 2.8 million samples a second? However one constant I have found is no matter what the sample rate quoted there is utterly no substitute for a properly transferred master file. In fact many of the correctly mastered genuine red book consistently out perform many of the so called 24/192Khz studio masters. The key is care taken in the transfer process. On your question, are you asking about Meyer and Moran or Stuart et. al. tests? Well it was an open ended question in fairness. A very good friend and very well respected gentleman inside the audio industry (ie:- non BS and open approach to SQ) which has won him many friends for being well straight about these matters which is very rare for the audio industry once said to me. "I can a hear a difference therefore this is a difference"
Aa belief in his convictions or a merely phychoacoustics lulling own organic super computer in to a false sense of security? A debate that has rolled on for many a decade with one side resolutely convinced the other is incorrect a case of irresistible force meets immovable object you get the picture. Just setting the back drop here sorry for the preamble. This is my take on the subject, like in the UK Brexit feel free to throw the odd spanner in the works. The answer is YES and NO really? How can that be after all the physical (PCM data) amount of information contained in a 24/192Khz file is substantially more than a red book standard 16/44.1Khz right? The bite rate of red book is 1.411Kps or 635MB where as a 24/192Khz studio master is roughly 9200Kps a very significant increase in the amount of information taken each second during the recording process, the numbers don't lie do they? So does all this extra information deliver us improved SQ, again yes and no. It boils down to two things, can the your system genuinely full resolve this extra information, not just digitally, through he analogue reconstruction I/V stage(s) etc through your amplification to your speakers. Joking aside now, look at the mechanics human hearing bandwidth up to 22Khz around the age of twenty, then down hill all the way after that! Realistically those young tear ways that have not placed their heads inside a bass bin @ the odd Motorhead concert then they probably still have around 16Khz @ 45 years of age ! However human hearing has a measurable s/n of close to 130dB which is not a million miles away form 24/96kHz which is 144dB, ok that's quite away as it is a logarithmic scale not an incremental one, but allow me a little latitude on this occasion. So here a few other numbers, a good vinyl replay system has a signal to noise ration of 76dB, a decent CD player gives very close to the full 96dB, 24/96kHz around 144dB and who knows with the latest 32bit ultra high sampling frequencies. Does it matter?, a lot of well respected members and manufactures feel it is pointless to chase that sonic dragon, while others feel differently. Music is made up of harmonic structures each @ 20kHz and extends well up in the 3/4th harmonic and beyond 60+kHz) yet a CD/Dac has a filter which removes everything above 20kHz (brick wall filter Nyquist Shannon theorem which half of the 44.1kHz rate which was 22.05khz rounded to 20kHz the recognised limit of human hearing) so why bother? Well visit a self respecting quality recording studio and they will be using equipment that is capable of recording @ 100kHz? why when we cannot possible audibly hear anything at all? Simply put music just would not sound the same recorded at 20khz, but why record up that high if you going to chop it off after 20kHz? facsimile to the recorded event requires amplification with a minimum of 100kHz to truly deliver a realistic musical performance. Some manufacturers try to bend the laws of physics Captain by using fancy algorithms in the pre analogue reconstruction phase of the dac's, for example Wadia had three possible filters type 'a' was the Wadia sound, gently roll the upper frequencies off -3dB @ 18kHz but have a bell shaped curve for the bass, hence the big Wadia full sound. Others like Esoteric / DCS / etc have their own take of how to get around the quantization noise by shaping (packaging it) in a different way. So this leads us back to the original question does high resolution audio sound better, in the majority of normal house hold systems I would say it makes very little difference, for those who have well sorted digital playback systems and quality speakers I would suggest the differences are easily heard. We may not be able to physically hear a difference of these bat like reproductive qualities , but if you take away those ultra sonic frequencies (everything above 20hKz) it just doesn't sound the same I believe. However as with all software, its only as good as the original material that was put there, I have some 32/384kHz that sound like a gleaming turd and some really well manufactured red book that sounds quite simply REAL. So it goes back to the record companies again, its great having all this superb playback equipment capable of delivery top draw SQ, but if the software is faulty your wasting your time. Does airplay 2 support high resolution audio?